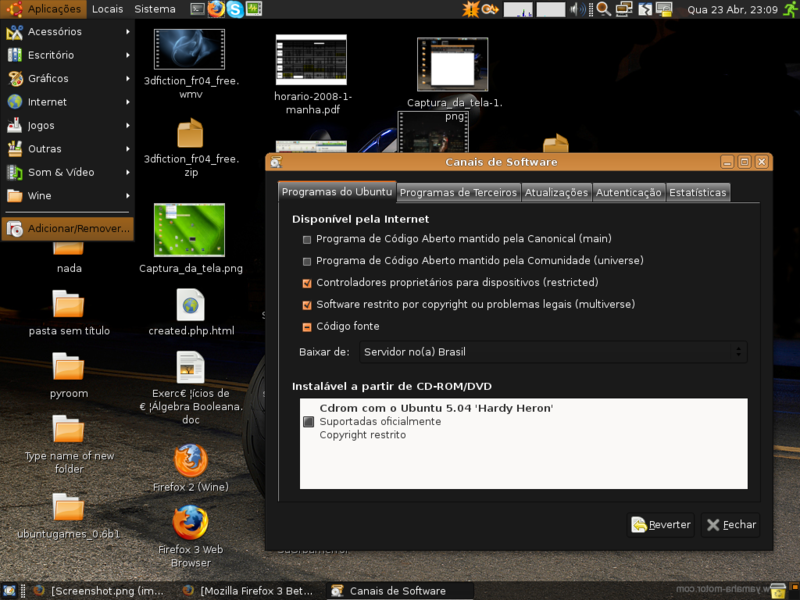 There is no Ubuntu theme with dark background in the theme package that is installed by default. 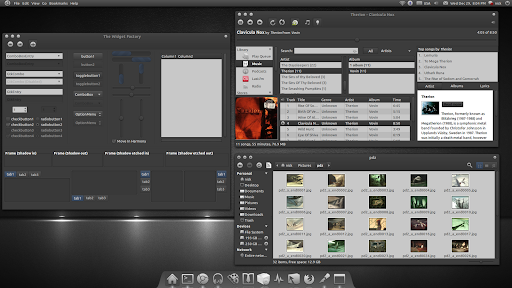 There are the special high contrast themes that do not look well on hardware that provides sufficient contrast, and there is the Darklooks modification of Clearlooks that is in the extra themes. Darklooks is usable and does have dark background but it looks somewhat bland since it has no colors. Themes with dark background are useful because some screen defects manifest more noticeably when dark text is rendered on light background making the text harder to read. Also I find too light backgrounds tiring for my eyes. 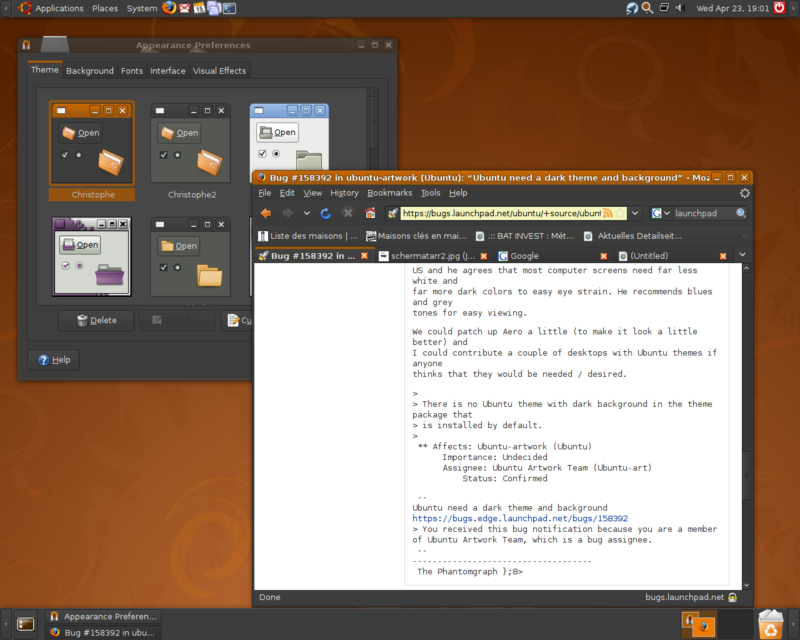 I modified the Darklooks theme to go better with the other brown Ubuntu stuff. The theme could probably use some more tuning but I tried to use it and there should be no obvious errors like invisible text or selections. +1 , as a developer I spend 6 to 10 hours in front of the screen almost everyday. Dark background is more friendly for the eyes, what I do at the moment is install ubuntu studio theme and modify it a bit to fit my needs. It will be great if the artwork team work a bit on an "EYE FRIENDLY" theme. There are some problems with dark backgrounds especially when browsing the web or using some programs that not integrate well with the gnome desktop, but globally almost all the apps included in the default desktop are looking good and fully useful with dark background. many people will love it ! several hours of working on the computer. thinks that they would be needed / desired. > is installed by default. > You received this bug notification because you are a member of Ubuntu Artwork Team, which is a bug assignee. I completely agree. PLease consider adding a dark theme in the default themes package. right transparancy it can be changeable on the fly. > Artwork Team, which is a bug assignee. I think it was fix released with Intrepid, I will change the status of the Bug, if someone disagree change the status to confirmed. them back a review and then you can keep it. I tried the Ububnto 10.10 live CD and this is not fixed. There are Ambiance, Clearlooks, Dust, Dust Sand, New Wave and Radinace themes all using light controls (in spite of the New Wave preview picture showing otherwise) and the two hi-con themes. In Maverick alphas there was a completely dark variation of Ambiance. Any way to get it back? The Dark Ambiance was removed for now, they've said it was just a test. I agree a dark theme should be installed by default. Maybe something like Atolm ? and Chocolate I would say Chocolate is more Ubuntu-like. It may be too low-contrast for some screens, though. I have no idea about its license so I only post a link for your information. 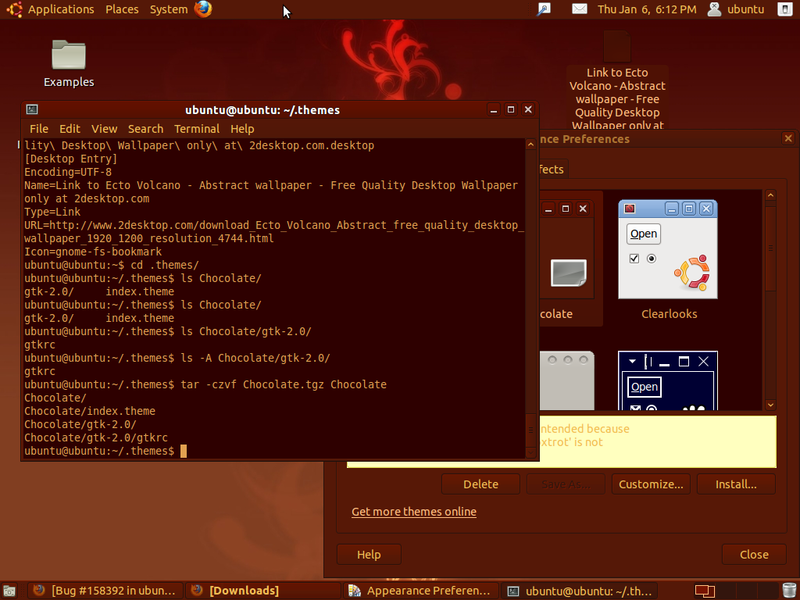 An update of the Chocolate theme that fixes link colour (such as in the theme selection dialog). The warning is still kind of odd coloured but I have no idea how to set colour on that. It is broken in the hi-con themes as well. is a black background-wallpaper though. > colour on that. It is broken in the hi-con themes as well. > ** Attachment added: "updated Chocolate (fixes link color)"
the MATE themes include a plain dark theme.